The ‘Carnatic’ was mainly employed between Suez, Bombay and China. Of course, the Suez Canal was still under construction. At august 1869 in England the ‘Venetion’ was loaded with ‘general cargo’ for Bombay and the ‘Pera’ with passengers was destined to the same harbor. As mentioned, the Suez Canal was still under construction and the normal travel route was to Alexandria, then by land to Suez and in Suez cargo or passengers were loaded in a ship heading to the east. The passengers of the ‘Carnatic’ already had a ‘grounded ship’ experience, just outside Alexandria. After three hours however she ship was afloat again. It all was just a exiting adventure. Progress over land was hot and exhausting. They arrived the second week of September and were ready to board the luxurious Carnatic. After loading both cargo and passengers, the ‘Carnatic’ left with a total of 34 passengers, 175 crew members and a cargo of cotton bales and copper sheeting direction Bombay. The ‘Carnatic’ and her crew had made this journey already lots of times. At 10:00 23 September 1869 the ‘Carnatic’ set sail from Suez to Bombay. 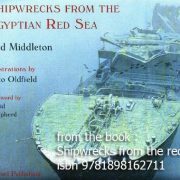 The Captain navigated the ship through the narrow street of Suez and reached the open water of the Red Sea on 23:40. At 1:00 however, the second mate saw the ‘island of Shadwan’ and immediately an order to change course was given. At 1:18 breaking water was seen on the starboard bow and immediately the helm was pushed hard starboard and the engines full speed astern. It was too late. The ‘Carnatic’ ran ashore on the ‘Sha’ab Abu Nuhas reef. The Ship was stuck solid. A damage report was made and the Captain was convinced the damage was minor and the pumps could easily manage the amount of water taken in. Also at dawn it seemed ok. To make the ship lighter, the Captain decided to throw the bales of cotton overboard. They waited for a ship, the Sumatra, which should be able to help them. Unfortunately, this ship was running late. At night, as normal, dinner was served. Unfortunately for many it would be their last meal. Under water the reef did its job crushing the Carnatic’s keel. At 02:00 the 14e of September water flushed into the ship and finally engulfed the boilers. The ship had no power and lights anymore. The Captain was still counting on the arrival timely of the Sumatra. In the morning however, ‘abandon ship’ was given because the ship was now really flooded. The lifeboats were lowered and at 11:00 the first passengers went into the the lifeboats to be transported to the three miles further ‘Shadwan Island’. It was too late. During the disembarking of the women and one child, the ‘Carnatic’ broke in half. The aft section of the ship sank immediately. Five passengers and 26 crewmembers perished. Moments later the front section fell over and onto its port side, spilling almost everybody else into the sea. Then the rowing could start and brought everybody to ‘Shadwan Island’. Luckily the cotton thrown overboard had flushed onto this island so they had some shelter. Eventually the Sumatra came into view and brought the survivors to Suez. 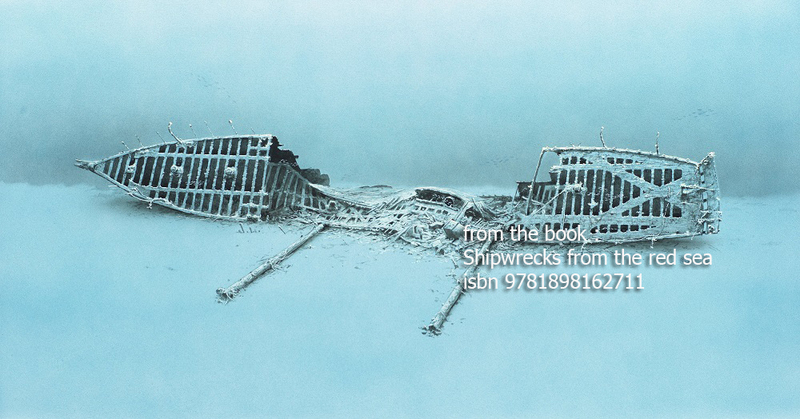 The ‘Carnatic’ is one of four wrecks on the ‘Sha’ab Abu Nuhas reef’. She is laying between the ‘Giannis D’ and the ‘Chrisoula K’. The ‘Kimon M’ is located at the end of the reef. In the middle section you can see very nicely the steam engine, boiler plate and boiler. If you look at the aft you see the steel frame nicely intact. Of course, the wooden decks and panels have all rotten away. Clearly you can see what a magnificent ship the ‘Carnatic’ was in her days. You can swim without any problems thorough the steel frame and admire this. If you swim past the wreck you can see the beautiful stern with the steel screw and rudder. There you reach depth of about 27 meters. If we swim tot the bow you also see the same framework, deep down you can still find wooden pulleys, used to the sailing of the ship. Also, the ‘wine cellar’ was located in that area. At early days it was full of bottles, (that’s why locals often refer to it as the ‘Bottle wreck), Sadly most of the bottles are gone and only shards are left. Swimming around the bow it’s nice to see the brass rings which held the bowsprit. Due to the depth of 20 meters the hull is fantastically grown by corals. All and all a superb dive if you have an eye for the beauty of these ships. Inside the wreck, mainly in the shadows, you will find glassfish, lionfish and stonefish. Every now and then you will find a moray eel. Because the wreck is near to open sea you van see larger fish swim but also schools of barracuda en hunting dolphins.